If you like Coconut like I do you must have Coquito on hand all year. I know – it’s a Holiday thing in Puerto Rico but I fell in love with the first taste and refused to give it up. It may small but it’s rich and flavorful, the perfect after dinner treat. I was introduced Coquito a few years ago and it is amazing. When Sunday Supper announced a Coconut theme for National Pina Colada Day I kew instantly what my contribution would be. 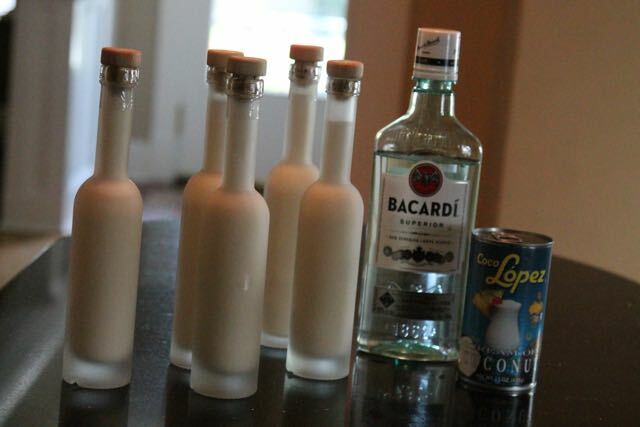 Coquito is the tropical version of Eggnog. I’ve happily done away with the eggs – I guarantee you won’t miss them. 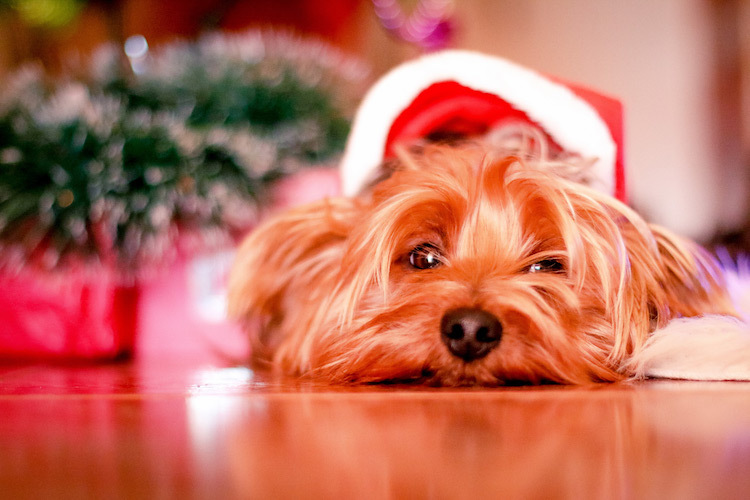 This is not limited to the holidays in our home. I have to warn you it’s a bit addictive. If you crave coconut this is something you can whip up, store in the freezer and have an instant fix. Offer a glass of this for dessert – that is all you will need. If you want to get really decadent pour this over a warm brownie topped with ice cream. Remember this is not for the faint of heart – there’s rum in here…. 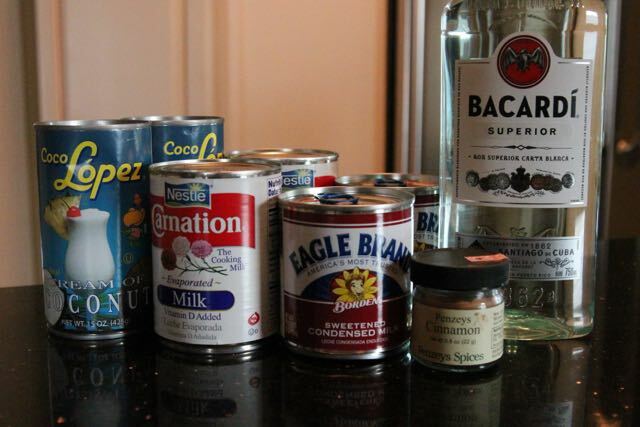 Pour the Cream of Coconut, evaporated milk, condensed milk, rum and vanilla extract into a blender. Blend together and season with the Cinnamon and nutmeg, if using. Blend again for a few seconds. 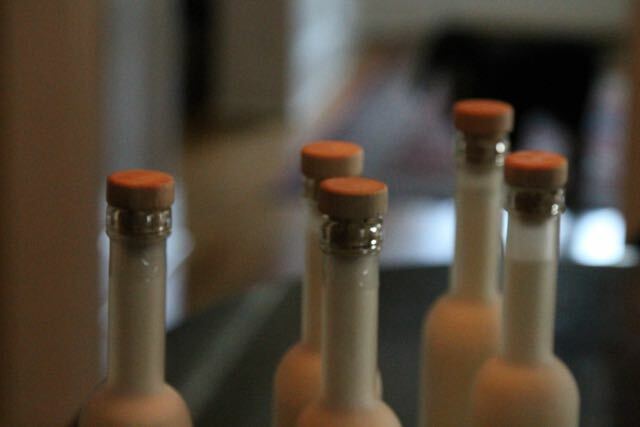 Pour the Coquito into bottles and freeze or refrigerate. 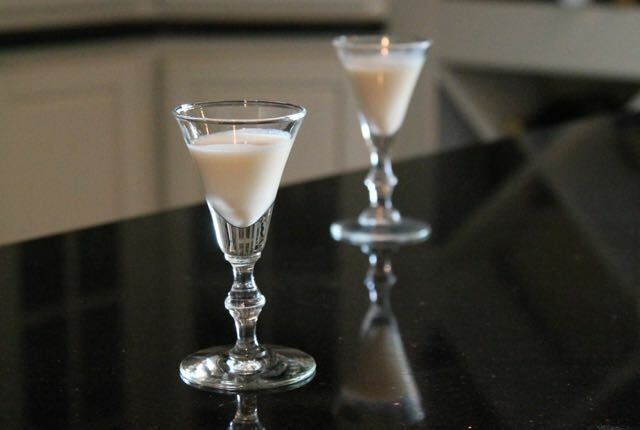 Serve the Coquito cold with a sprinkle of cinnamon and /or nutmeg. Many thanks to Constance of Cosmopolitan Cornbread for hosting this event! I’m not faint at heart, I promise! 🙂 This looks yummy and I will take a glass and a brownie please! Awesome…I have a brand new batch so stop in for a bit! 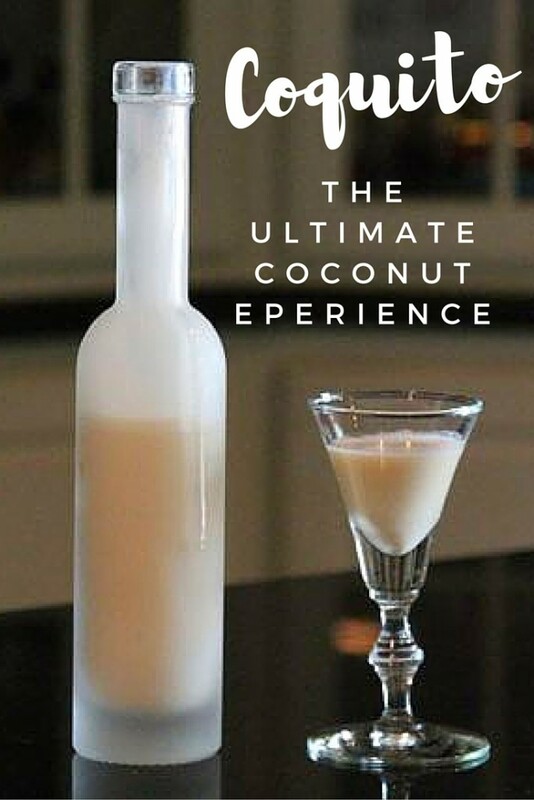 I’ve never thought of trying this with Coconut Rum. I’ll have to try that next time. Thanks for the suggestion!!!! 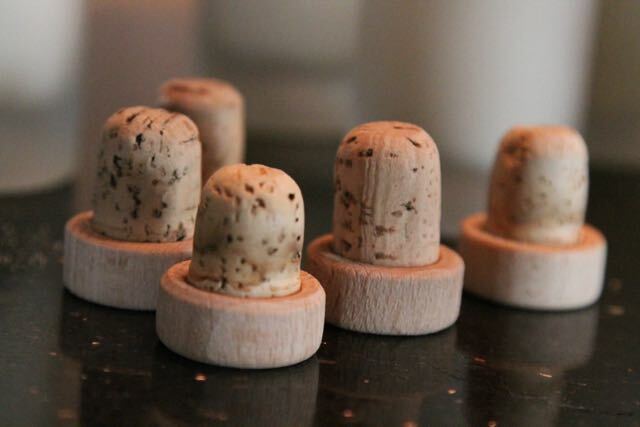 okay, i seriously need to make these the next time I have company over! I know! 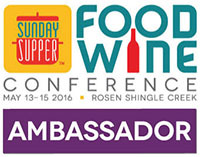 I’m so grateful to have a batch ready in the freezer – Thanks to this event!!!! I know, the brownie is pretty awesome…. Oh my goodness, my husband would absolutely love this! I can’t wait for our next get together so I can give it a try! That sounds delicious! I love that you can freeze it and over a brownie would be out of this world. 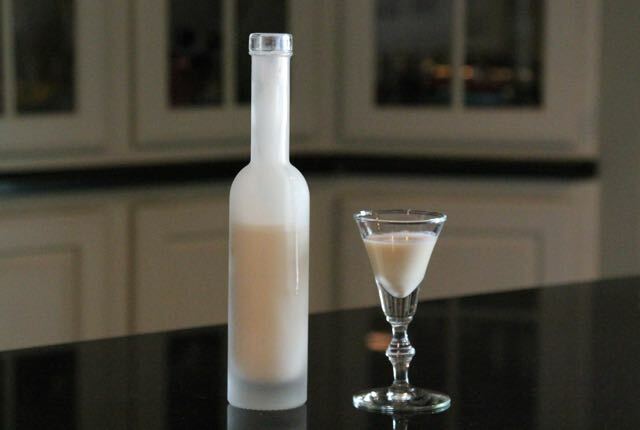 I LOVE Coquito, and I’ve been looking for a good recipe for it FOREVER! We always drink it around the holidays, but I’m going to surprise my husband and make him a batch of this soon! I can’t wait to try it!!! I’ve never tried Coquito, but I’m a huge fan of anything coconut. I’m looking forward to trying your recipe soon. Oh my word. This is one of my fave drinks. I was lucky enough to work with Puerto Ricans who introduced me to this addictive drink around the holidays. So so good!! I can easily see how this would be addicting. I think I would be like you and keep it year round. Thanks so much for your comment! This is a very thick drink. I like to let is sit at room temperature for a few minutes before pouring. I’ll adjust the recipe with a note to do this per your observations. Yes – it does spoil quickly. I freeze mine until I’m ready to use it. I’m planning to make this for a New Years Eve party tomorrow. If it seems too thick when I make it, do you you think adding a can of coconut milk would work, or would that ruin it?